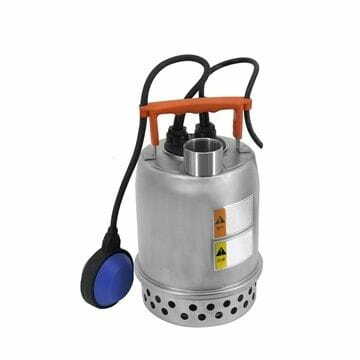 Submersible drainage pump made entirely of AISI 304 stainless steel. Pump supplied with level switch and electric cable with schuko plug. 2-pole induction single-phase motor with built-in thermal protector. Suitable for domestic applications such as draining flooded premises, garages, basements or any place that may eventually be flooded. Small fountains or decorative water games.